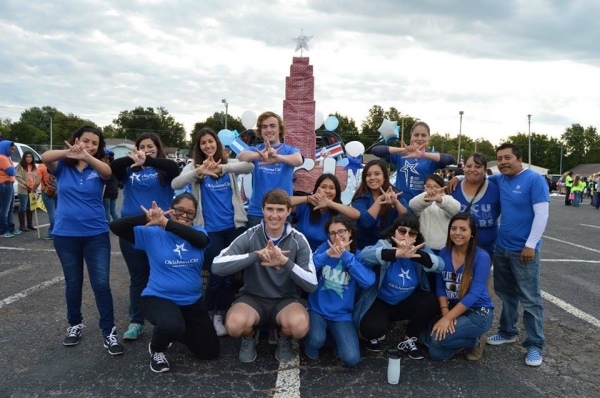 The Hispanic Student Association (HSA) at OKCU serves the need for representation, understanding, and appreciation of the Hispanic culture, people and language on campus. HSA's mission is to secure representation and status of Hispanics on campus, to educate the university community about issues of importance to Hispanic people, to facilitate interaction between people of all cultures, to provide academic, social, and philanthropic activities with the goal of breaking down cultural barriers, while creating friendship and understanding. The HSA hosts an annual Latino Youth Leadership Conference (LYLC), which creates interest among senior student leaders from the Latino community, and continues to develop into a strong network of young leaders on local university campuses.